Fleet management for land transport is the activity that supports the various land transport activities. This could relate to the management of vehicles involved in the movement of goods/cargoes/materials, the management of light vehicle fleets used in the transportation of people and light cargo, possible motorbikes and also other equipment such as warehouse handling equipment. Fleet management supports these activities through the management of the assets that are used. Maintaining the assets/vehicles in an acceptable condition to ensure the safety and security of the goods and personnel to be moved. Make an appropriate systems and procedures that enable effective management controls to be in place. This includes vehicle maintenance, driver management, fuel management, vehicle tracking, also health and safety management. Monitoring and measurement of costs and the utilization and performance of the vehicles concerned. Fleet cost effectiveness involves not only the control of vehicle operating costs, but also their maintenance and repair, the spare parts stocks and also the replacement of vehicles at optimum point in their life. Ensuring that the vehicle, in terms of both numbers and composition, is balanced with the level of activity required. 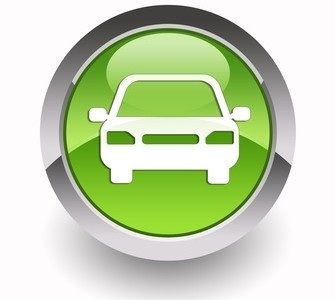 There are number of areas to consider when setting up a vehicle fleet. Initially it is necessary to understand what will be done by the vehicles, what volume of work is envisaged and the area as well as environment in which the vehicles will operate. Once those are understood, suitable vehicles need to be selected and the support infrastructure decided. Procedures and systems need to be put in place to manage the fleet and measure, monitor and control its performance. The physical condition of the road and environmental situation in which the fleet is to be used will influence the fleet composition. There will also be both general and specific operational needs to be considered. It is necessary to consider what is going to be transported, and any legislative or regulatory influences that may impact the use of vehicle in a fleet. It is also important to know the lead time that will elapse before the vehicles will actually be delivered as it may be necessary to rent vehicles. This report should be checked on daily basis or at least weekly basis by fleet manager or person in charge.